If you're planning to pick up a Vita, the 3G may be the better buy - at least at launch. 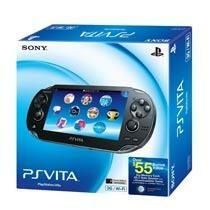 The PlayStation Vita comes out in less than a month and expectant gamers are already putting in preorders. Of the two models of Vita, the Wi-Fi only version seems to be preferred - after all you'll be paying a steep price for that 3G service - but Sony has thrown in some bonuses that might change your mind. The launch package for the 3G Vita now includes an 8GB memory card and 250MB worth of data transfer for free. You'll also get a PSN voucher for a free game when you start using that 250MB worth of data. As one commenter points out, the data plan you have to sign up for to use that may be free but it will auto renew and start costing you money if you don't cancel. That aside, this is still a decent reason to opt for the 3G version instead of the Wi-Fi. It's $50 more, but the memory card is going to run $30 anyway. And of course, you don't actually have to use the data plan - buying the 3G version just keeps the option open.